ELY, Nev. –The Nevada Northern Railway Museum offers a truly unique opportunity for photographers to bring their cameras back in time, taking shots of historic railway equipment in a spectacular and authentic setting. 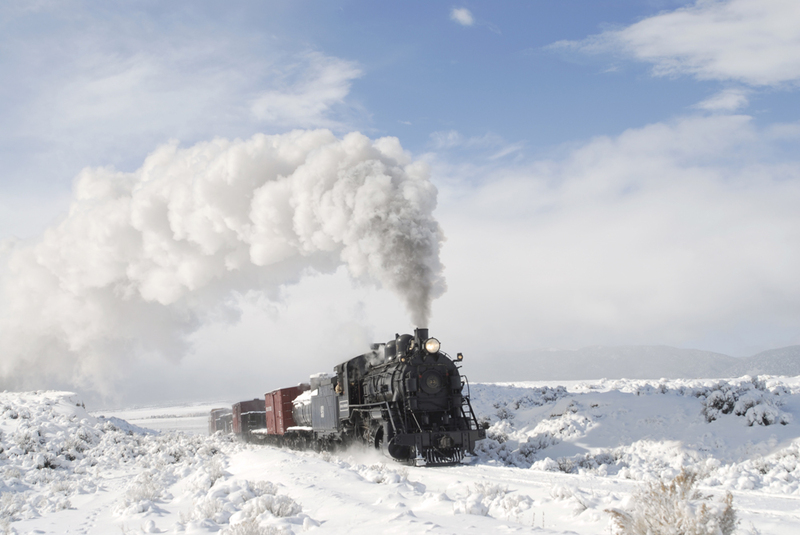 The Winter Steam Photo Spectacular caters specifically to photographers, drawing shooters from across the country to come and take spectacular photos of historic steam engines, railroad equipment and buildings against the beautiful backdrop of Nevada in winter. Pictures taken at this event regularly win awards in photography competitions. Organizers offer tips, guidance and set up studio-quality lighting for the night photo shoot on Friday. Photographers with a wide range of experience get the most out of the event and take some of the best shots they’ve ever taken. The winter weekends not only thin out crowds but offer the possibility of billowing clouds, a shimmering coat of snow and extra big plumes of steam from the steam engines, making it the perfect time of year to capture a special shot. Rapidly changing weather is perfect for a range of pictures to take home at the end of the trip. Two weekends, Feb. 10-12, 1017 and Feb. 17-19, 2017, are scheduled for Winter Steam Photo Spectacular events, starting at $395 for members. To find out more about the event, see photos, video and to reserve a spot, go to www.nnry.com/pages/photoshoot. About the Nevada Northern Railway: The Nevada Northern Railway Museum is a designated National Historic Landmark. Voted the state’s Best Rural Museum and the Best Place to Take the Kids by readers of Nevada Magazine, the Nevada Northern Railway Museum also has been featured on Modern Marvels, American Restorations and on PBS. For more information, call 775-289-2085, log onto www.NNRY.com or to get the latest news “Like” the Railway’s Facebook page. Thanks for publishing the article about the winter photo shoot at the Nevada Northern. I noticed that you link to the event is not quite right. The link to the photoshoot should be http://nnry.com/pages/photoshoot.php.